Applying for loan modification correctly is crucial to your success. Applying for loan modification is an important decision. Getting the best results possible can greatly impact your family’s future. Simply put, your options are hiring a foreclosure defense attorney, or attempting the process yourself. We strongly recommend hiring a foreclosure defense attorney. You should know that lenders are reluctant to restructure your mortgage. So, as you might expect, they are notorious for taking advantage of homeowners not represented by a foreclosure defense attorney. this is why ortgage mitigation is complicated and difficult. However, with a strong presentation from an experienced loss mitigation attorney, it’s possible to get what you want. For reasons consistently supported in this website, we strongly advocate foreclosure defense attorney representation for distressed homeowners. The process starts with your initial consultation with your foreclosure defense attorney. During this consultation, the attorney will review your documentation and other relevant facts, and determine your options. Your foreclosure defense attorney will then brief you on the required documentation and the strategies that will be deployed to obtain the resolution you seek. A hardship letter explaining your situation and requesting a loan modification. An expense sheet detailing all of your monthly expenses, including items you are not paying for. Your most recent mortgage statement. Your foreclosure defense attorney will determine the best approach after conducting a thorough analysis of the documentation you provide, and any potential legal violations committed by your lender or servicer. Your foreclosure defense attorney will begin negotiations shortly after sending your application. This is where the real work happens, as your foreclosure defense attorney negotiates with your lender. A good loan modification attorney will negotiate aggressively until the bank makes an offer that suits your financial capacity. This negotiation will determine the details of your modification and is the biggest reason why having a foreclosure defense attorney is crucial to obtaining the best result possible. When your bank and foreclosure defense attorney have reached an agreement, they will send you a document detailing the offer for final approval. The main reason you need to show income vs. expenses when applying for loan modification is to prove to your lender that you can afford to make your monthly payments once they are lowered via loan modification. This comparison shows how much of your monthly salary goes into paying off your mortgage, including the principal and interest, property taxes, and insurance. A foreclosure defense attorney can make sure you are properly portraying this comparison. The HAMP and all lender proprietary programs have specific rules on what qualifies as financial hardship. Your hardship letter should explain in detail what initially made you fall behind. Commonly accepted situations include illness or death in the family, job loss or income reduction, lawsuits, divorces, and military service. Your foreclosure defense attorney can help you formulate your hardship letter. Making Home Affordable (MHA) defined list of qualifying hardships. 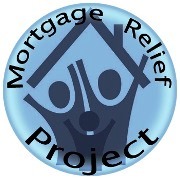 Lenders will also review your previous mortgage statements to see how you handled your payments before you fell behind. If you made timely payments prior to financial hardship, it shows that you can get back on track once you have a mortgage modification. It is important to distinguish that this is not the same as your credit history. Your credit rating has nothing to do with qualifying for a loan modification! A good bank account shows two things. First, it shows that your spending habits were stable before you fell into hardship. It also provides further verification of your income and expenses, and that you have an emergency fund in case you fall behind again. This serves as secondary proof of your financial responsibility. Consistent returns show your financial responsibility and that you are not just trying to shrug your financial responsibilities. It also provides support to whatever claims you made in your hardship letter, and proves that the situation was out of your hands. Finally, your foreclosure defense attorney plays a big part in your application. You want someone who comes from a respectable firm, has a good track record (preferably in foreclosure prevention and loan modification), and has established contacts with all major lenders. A good foreclosure defense attorney will understand your case and negotiate until you reach a lasting solution.